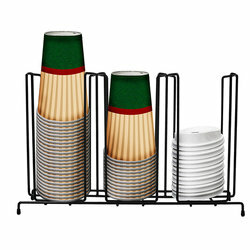 Flat Cup Rack - 3 Select. A perfect way to organize your cups and lids at the coffee station. This wire rack can hold cups and lids.